There was a bit of racing action in the middle of the campus this lunchtime. I nipped out with a camera to take some snaps. 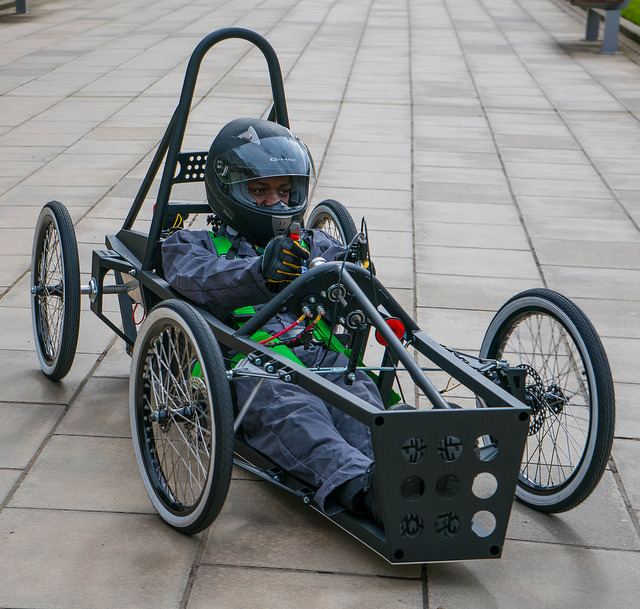 The university has sponsored a bunch of cars as part of the Greenpower project and they were putting one of them through its paces. It looks like a great way of getting folks engaged with engineering, as well as a lot of fun to drive.